Rather than give the children preset tasks my English and a unit of Inquiry home learning consists of a simple provocation and a blank sheet of paper. 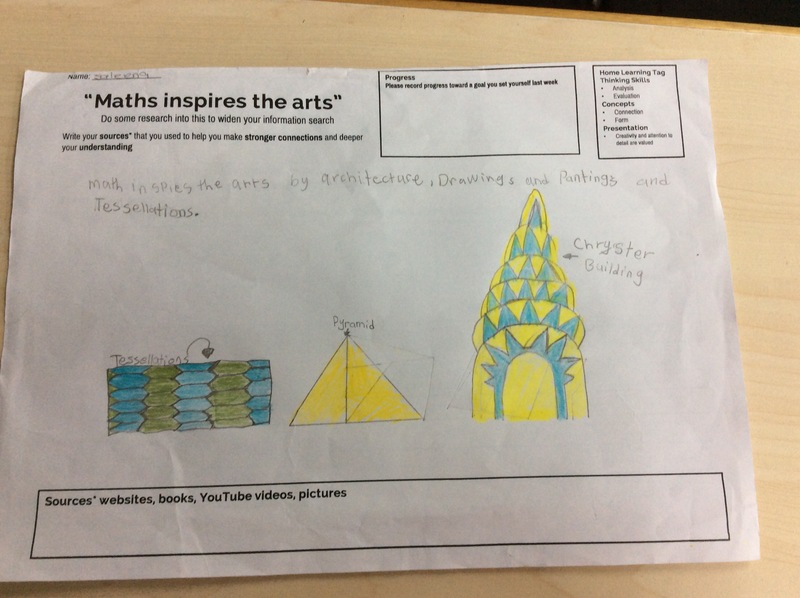 From there the children are expected to research and show how their thinking has changed around the idea. 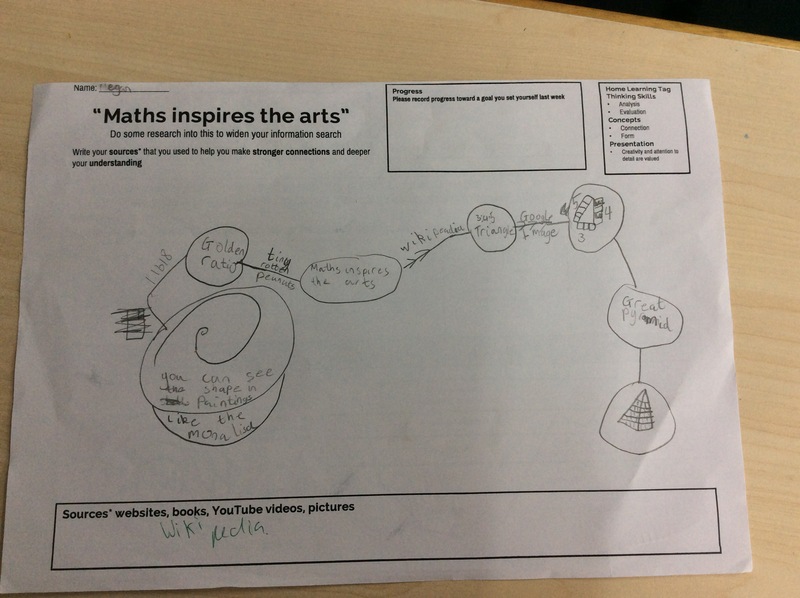 Megan has set out her learning in a spiral shape we noticed in the nature by numbers video I showed in class that showcased the Fibonacci sequence and Golden ratio. 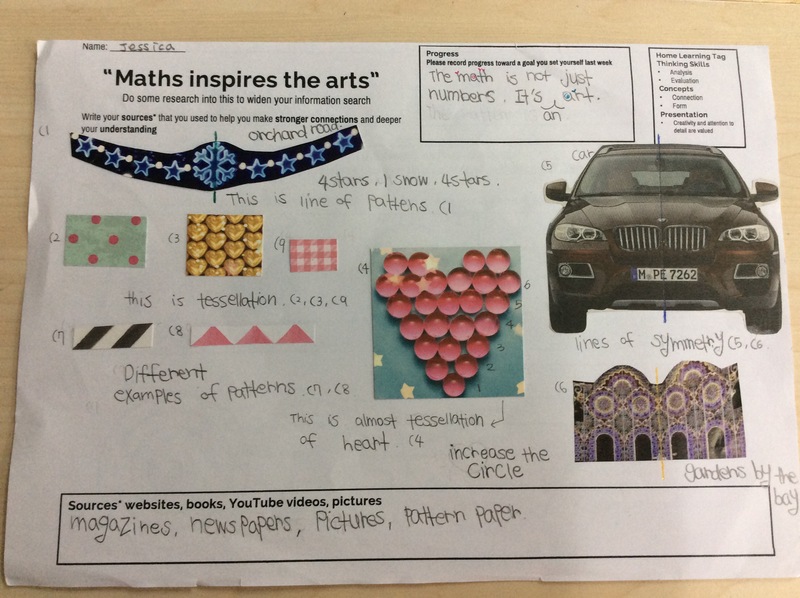 She has shown some mathematical concepts and applied them to art. Jessica has researched from many different sources. 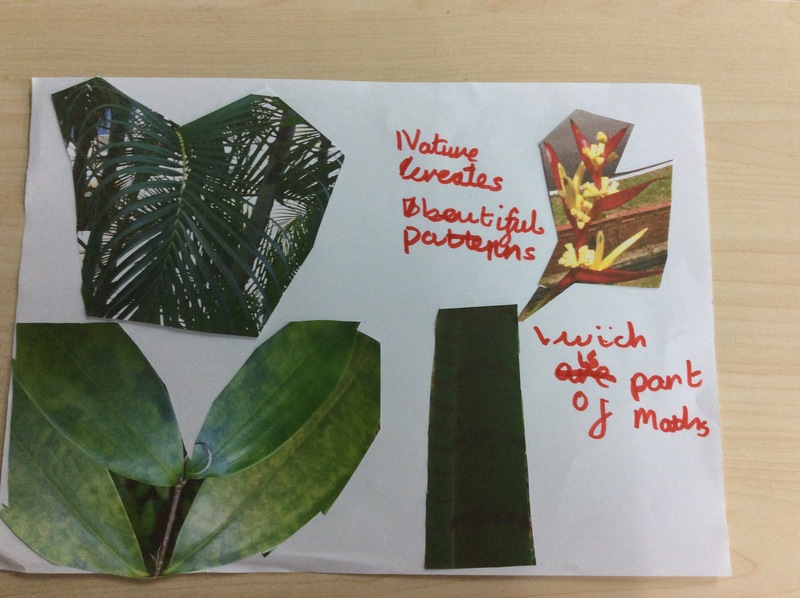 She has identified patterns and lines of symmetry in objects she has seen in her environment. Maya is showing different opinions. She explored different patterns in nature by going outside and taking pictures she shows a shift in thinking. Saleena is using tessellations and patterns she sees in real life in her drawings. The children are clearly showing their thinking and research. They are developing their creativity and communicating through art. None if responses look the same and each brings a slightly different perspective and different academic disciplines to the provocation. Which is the sign of a strong provocation – if home learning comes back looking the same from each child you’ve given the kids a recipe not deep thought.